DRENZO SOLAR HYBRID AIR CONDITION has now become the latest word in electricity savings as it also translates to money-saving and environment-friendly air conditioners. The solar hybrid air condition has been in the market for the last eight years and is internationally recognized as an energy-saving appliance in the United Arab Emirates, Australia, the Unites States of America, and Asia. Based on actual test comparisons, DRENZO solar hybrid air condition proved to save more on electricity as compared to current leading brands of air conditioners. Why such big savings? 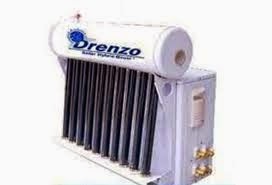 DRENZO SOLAR HYBRID AIRCON technology utilizes a solar thermal collector (to convert both solar as well as ambient energy) to superheat the refrigerant to convert it from a low pressure, low temperature gas into a high pressure, high temperature gas, reducing reliance on the compressor. The compressor’s function is substantially lessened and serves just as a pump to push the refrigerant around the system. Compared to regular air condition, the DRENZO Solar Hybrid Air condition power input is much lower, thus electric consumption is much lesser but without sacrificing nor compromising the aircondition’s cooling capacity. What is also amazing is that the DRENZO SOLAR HYBRID AIRCON component is mostly mechanical and it’s common knowledge that mechanically built appliances or machines are more durable, functional and lasts much longer than the current system which is mostly electronic system. Exclusively distributed in the Philippines by BRENEN International Trading Incorporated, DRENZO SOLAR HYBRID AIRCON’s cooling capacity stays longer as compared to the regular air condition. This is due to the thermal pressure stored in the vacuum tubes and water tank where the freon/coolant stays cooler longer than regular air condition even if the compressor is in off mode, leaving the blower in the indoor unit consuming electricity of only 40-60 watts like a regular electric fan, thereby saving you electricity and money. 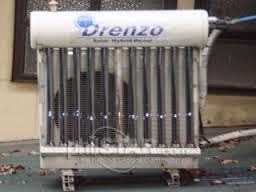 In the evening, DRENZO SOLAR HYBRID AIRCON operates on the same principle since its solar vacuum tube can also collect ambient heat emanating from the outdoor unit or condenser unit, wherein the vacuum tubes and water tank also can hold the heat for up to 3 days under any weather condition. Easy-to-install, easy-to-maintain, reliable, energy-efficient, and durable DRENZO solar-assisted hybrid aircondition also has a built-in air cleaner and deodorizer for the room so you can enjoy dust and pollution-free cool air – everytime. Available in wall-mounted type, ceiling/floor type, floor-mounted and cassette type, from 1.5 HP up to 6HP (horsepower). DRENZO can also provide centralized aircondition system to commercial, industrial, and institutional establishments like hospitals, schools etc. Hello Aki! How much is this? Hope it's affordable for the masses, looks like a must try!